If you don't mind a little back-breaking work with a soldering iron instead of a hoe, it's probably worth checking out the GardenBot site, which has plenty of information about how to create your own monitoring equipment. 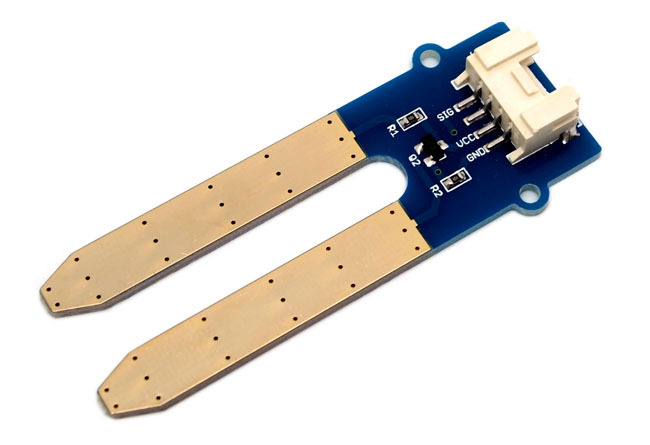 It details designs and components required to build sensors for tasks such as tracking soil temperature and moisture levels – though it has to be said that you can buy a ready-made sensor from places like Seeed for $5. You could of course go for a simple weather station, and there are plenty of those around – they're nothing new, really. 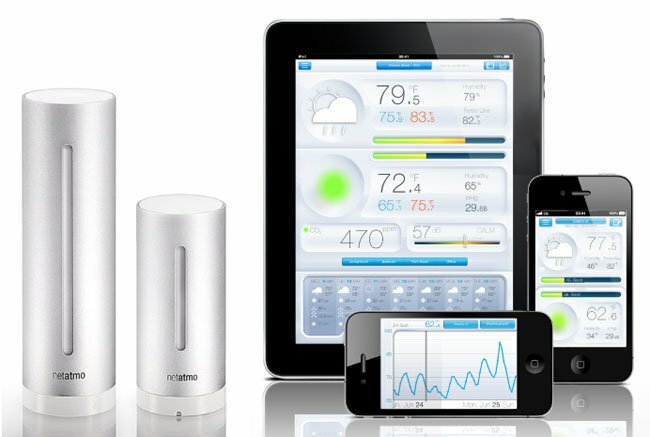 However, the latest models are of course part of the "internet of things", and Netatmo's even includes a Wi-Fi Rain Gauge. 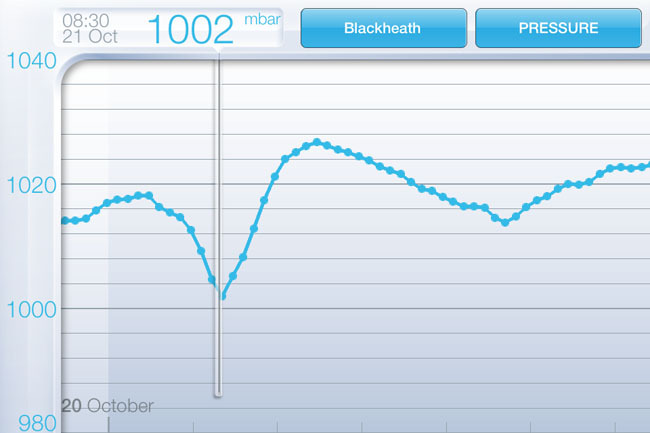 We ran a full review of the NetAtmo Weather Station last year, which proved effective in a variety of environments. Yet at £139 plus another £59 for the Rain Gauge, it's a fair old whack if you only want to keep an eye on the garden. 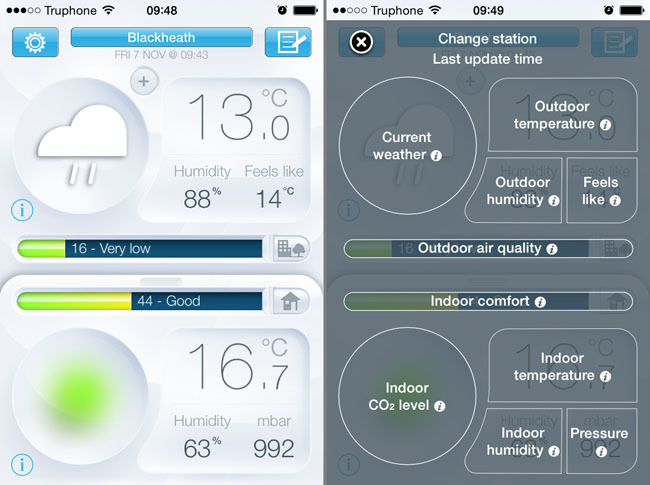 Still, you do also get air quality monitoring, including indoor CO2 levels, alongside the full temperature and humidity. And, of course, there's no reason why you couldn't use such a system to monitor your greenhouse, either. 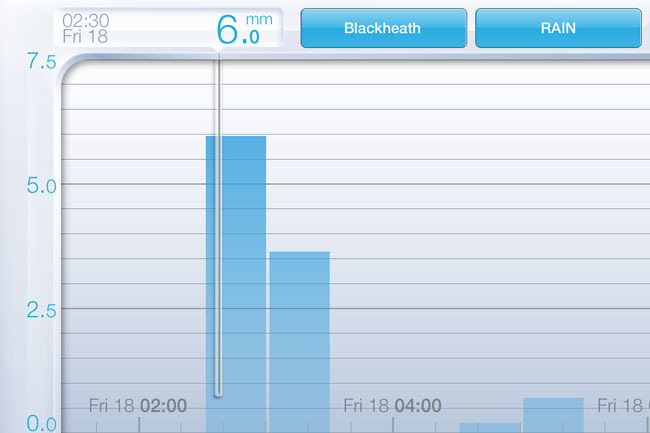 Heavy rain: when viewed in landscape mode, the app offers graphs of its various telemetry functions. While Netatmo is perhaps a tool for the more traditional gardener with a head full of knowledge, with Flower Power and Koubachi, the intention is to make us all green-fingered. To a large extent, what you're paying for with these systems is not the actual sensors themselves, but the cloud-based analysis of the data they provide. That's what lets you how much moisture, or fertiliser, different plants need. But is it worth it? Or should you just stick a Maplin £10 moisture sensor in a flower pot?